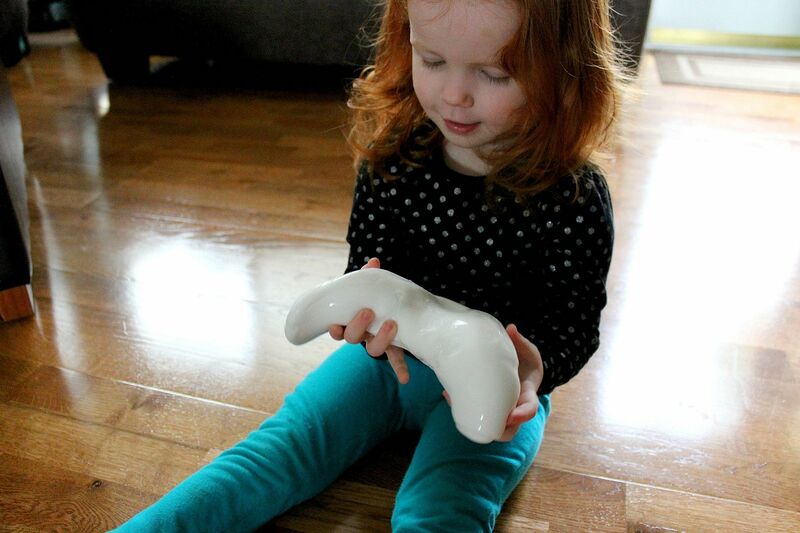 Do you want to offer your toddler a really cool sensory experience and have a ton of fun? And do you want them to be entertained for awhile? 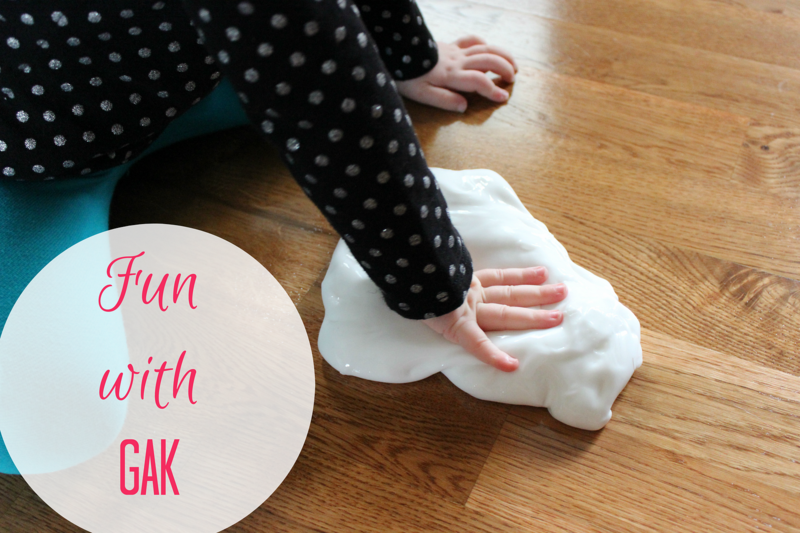 Well I have an extremely easy recipe to share with you - GAK! The best part? It is super easy (and cheap) to make! 1.) In a large bowl, empty all of the glue from both bottles. 2.) Fill each empty bottle with water and shake them to rinse out any remaining glue. Pour the water into the bowl. Mix well. 3.) In a separate bowl, mix 1/2 cup very warm water with 1 tsp. Borax. Stir until the Borax dissolves. 4.) Slowly pour the Borax mixture into the glue mixture, stirring a little in between each pour. 5.) 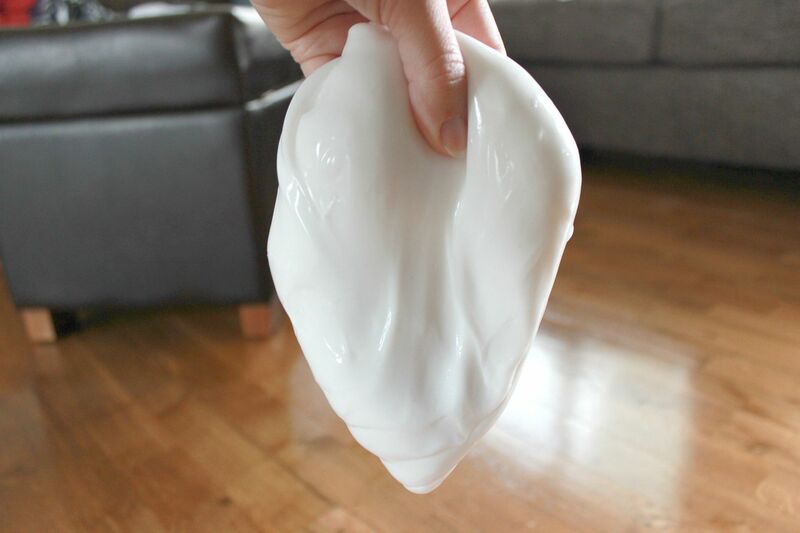 The Borax will start to make the glue stiffen and you will likely need to finish mixing everything by hand. 6.) Store in an air tight container. I just use a gallon size ziploc bag. 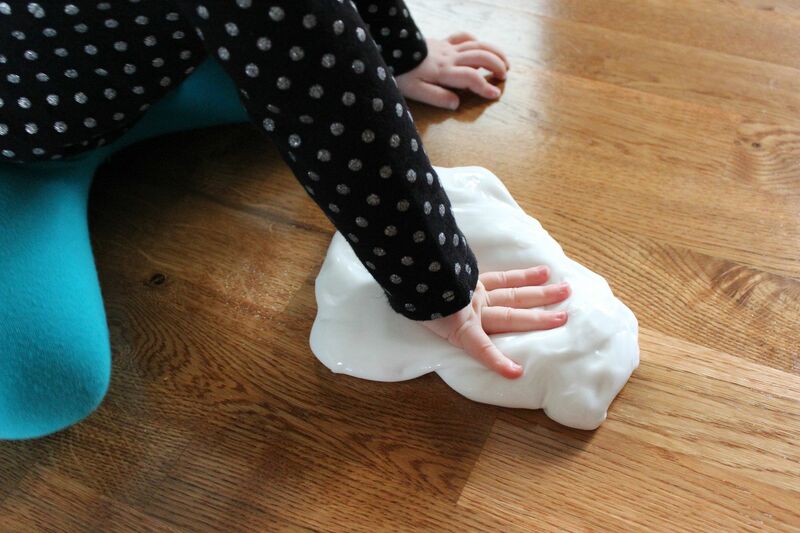 One of my favorite things about gak is that it can "move" on its own. 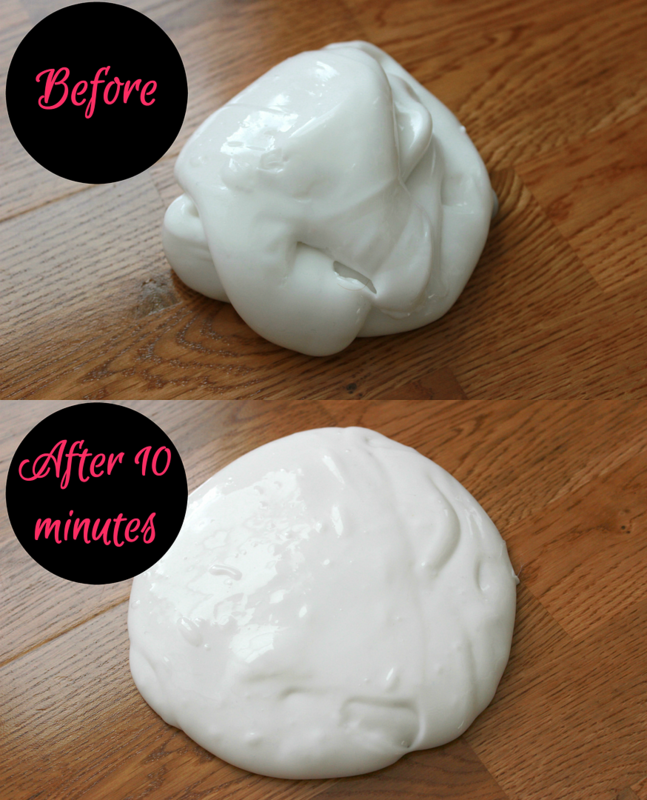 If you let the gak sit, it will sort of melt a bit. It will flatten out and take on the shape of the container you use to store it. Oh my gosh, I used to love Gak!! How fun! I want to make it to use for myself! Haha!